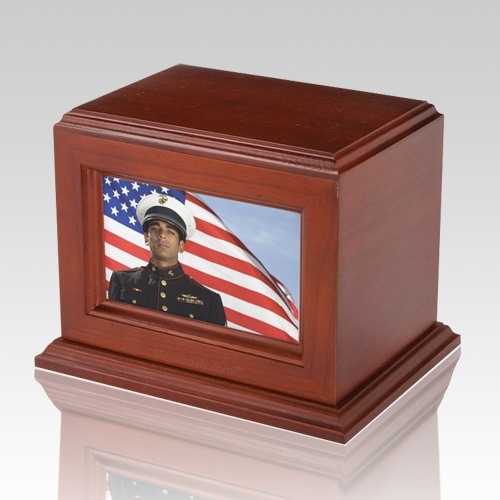 The Deluxe Photo Wood Cremation Urn is made from cherry wood. It is a beautiful urn to memorialize your loved one. This piece is surely to become a treasured family heirloom that will keep your precious memories alive for generations. 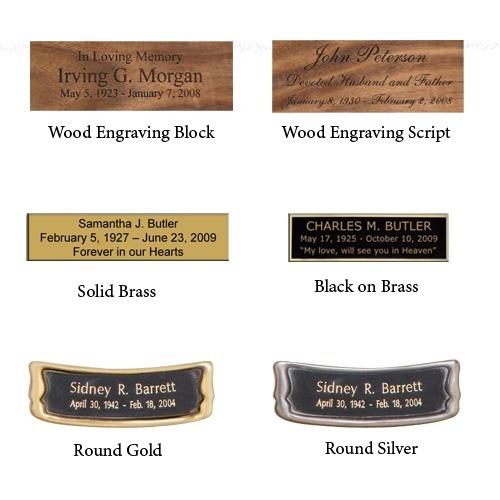 "I was very impressed with the speed which our order was dealt with and the incredible proof that was created. Friends and family from all over the country were moved to tears about how wonderful the pictures were arranged. We knew what pictures we wanted but had no idea how best to arrange them to tell the story of his life. Everyone who has seen the proof says it is the most moving and beautiful marker they have ever seen. Thank you for providing this product at a price we could afford."